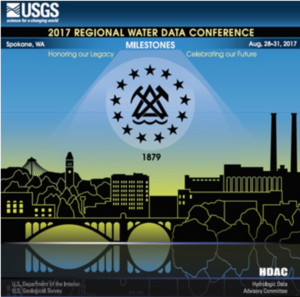 FTS Sets the Stage at the 2017 Regional Water Data Conference - FTS Inc.
We are excited to be back at such an important conference this year taking place in Spokane, Washington, from August 28-31, 2107. The Regional Water Data Conference, sponsored by the Hydrologic Data Advisory Committee (HDAC), is an annual event that provides training and workshops for USGS hydrologic technicians, hydrologists and others who collect, analyze, and process water data. This year the USGS Celebrates Milestones: Honoring our Legacy, Celebrating our Future! We look forward to seeing all our USGS customers who are interested in learning about data collection through workshops, presentations and vendor exhibitors. Come by booths 14-15 to see a pair of brand-new FTS solutions, the Bubbler and LT1 GOES. And ask about our exclusive hospitality event!